The DBISAM ODBC Driver is contained within a single DLL with no external libraries required. 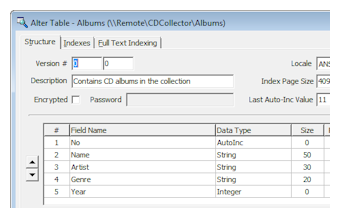 It can be used with Visual Studio using the ODBCDirect access layer, and with Visual Studio .NET or higher with the ODBC.NET Data Provider. 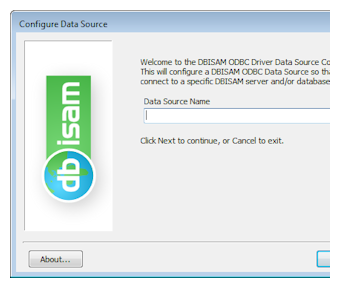 The DBISAM ODBC Driver contains an easy-to-use configuration wizard for creating and modifying user and system data sources, and also supports direct driver connections using a connection string. 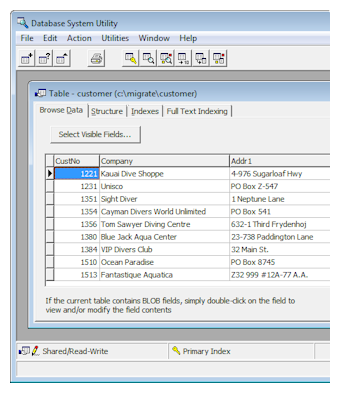 International locales Tables can be assigned a locale in order to control how sorting occurs in indexes as well as any searching or filtering done on the table via filters or SQL. However, currently this support is only available for Windows. DBISAM includes a subset of the SQL-92 standard, including a query optimizer, live and canned result sets, parameterized queries, scripts, and extended SQL syntax for DBISAM-specific features. DBISAM includes support for remote client-server access to a DBISAM database server. You can switch between local or multi-user usage and client-server usage with just a simple change to a connection string. Remote sessions include support for keep-alive pinging or the ability to maintain sessions that can survive connection interruptions, complete with dead session management for sessions that will never be reconnected due to a fatal client problem. Connection timeouts for remote sessions can be adjusted, and an event is fired whenever DBISAM is about to disconnect a remote session due to inactivity. 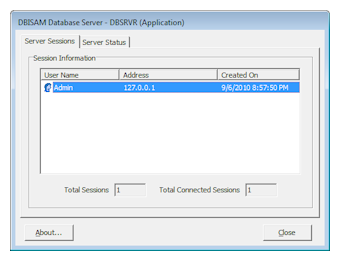 Remote sessions can be configured to use compression and strong encryption when accessing a DBISAM database server. You can download a trial version of DBISAM for Visual Studio and evaluate the product before your purchase.